Today I do my first Gedling Parkrun. I’ve been here a few times but I've always considered the surface too rough for a dog’s paws. Not that it's stopped others. Today I run it with the Lad and MD runs it with Daughter. In the afternoon, while I’m at the match, L joins a new gym. Another one. It’s a bit like notches in your bedpost I suppose. This one is apparently amazing. So naturally I ask how the Watt Bikes were? As naturally an amazing gym must either have Watt Bikes or something better. I don’t get a conclusive answer, only that they’d be no use to L anyway. She also finally signs up for a personal training session after ten years of thinking about it. 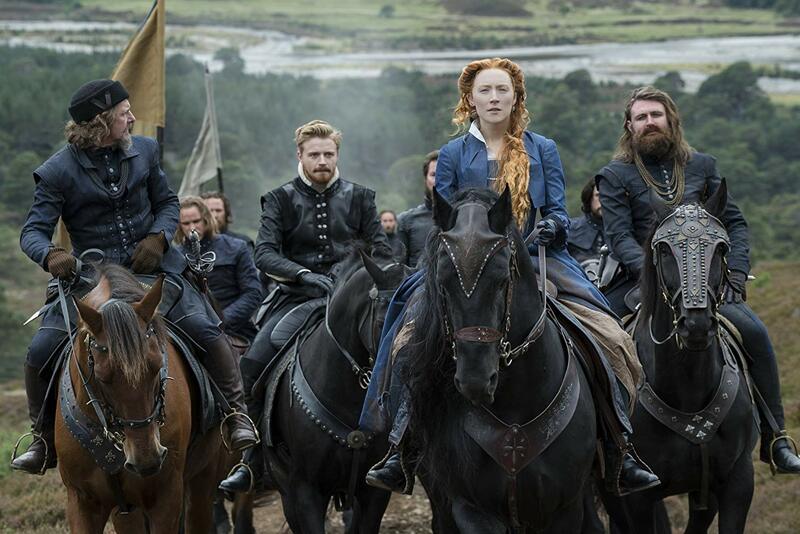 Then in the evening we’re at Broadway to see Mary Queen Of Scots on an evening financed by Tesco. This is finance stolen by L. She says she tried to pay at their self-service machine but not only did it spit her tenner out onto the floor but also a further £25. So she just picked it all up, managed to pay second time around and then left. Although I’m tempted to ask her to hang to as bail money. 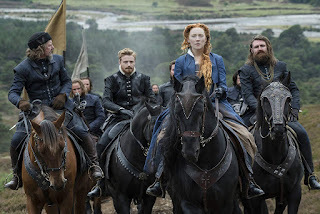 Mary Stuart (Saoirse Ronan) became Queen of Scotland when just six days old following the death of her father James V Of Scotland. While Scotland was ruled by Regents until she became an adult, she was effectively married off at the age of five to the future King of France, who was himself only four. She subsequently moved to France for thirteen years. The last two as Queen in France to the then King Francis II, who then died on her. 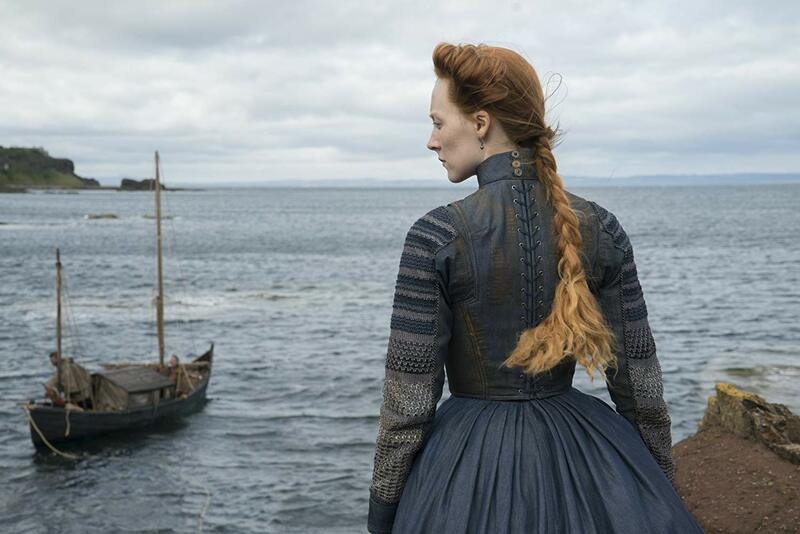 So in 1561, at the age of eighteen, Mary moved back to Scotland to claim the throne in her own country. She was also next in line to the throne in England, unless her cousin Elizabeth I (Margot Robbie) produces or names an heir. Her reappearance creates alarm on both sides of the border. As a devout Catholic, she was regarded with suspicion by her mainly Protestant subjects. Not even her half-brother James Murray (James McArdle), who is the stand-in monarch, trusts her. While Protestant cleric John Knox (David Tennant) can't even abide a woman being in charge. Then there’s Elizabeth, ravaged by the pox, who is completely unhappy at having a younger, much better looking queen eyeing up her throne. 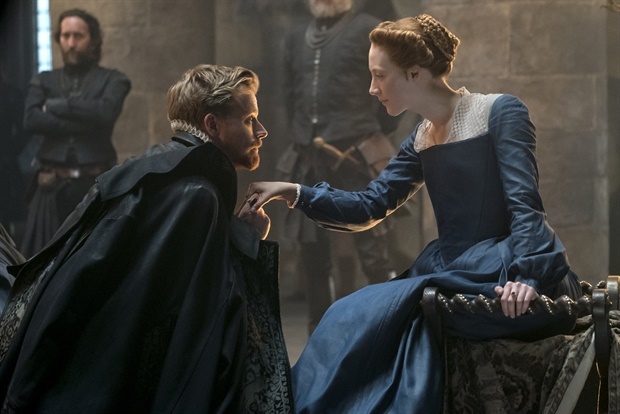 Yet Elizabeth sees no other viable option and the two come to an agreement of sorts in a dramatic meeting between the two that apparently in real life never happened. Unfortunately hardly anyone else likes this idea and the plots against her mount. Mary seems naive, she chooses her allies and her husbands badly. Her second husband, Lord Darnley (Jack Lowden) is a severe disappointment, who ends up murdered but with whom she had a son. Her third, the Earl of Bothwell (Martin Compston), is a ‘nice’ chap who is not only the suspected murderer but who abducts her and also rapes her as a sort of marriage proposal. None of this goes down well with people and she is forced to abdicate the throne to her one year old son and go into hiding. This ends with her imprisoned for eighteen years before finally being beheaded on the orders of her cousin. In The Favourite, we saw two women vying for the affections of Queen Anne while here, we see two women vying against the men and for the throne of England. It’s interesting and complex stuff but in the end probably not that great a film.